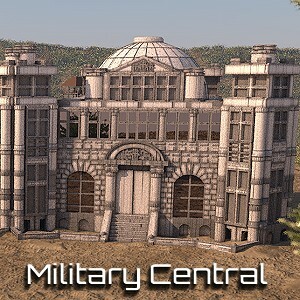 Maximum buildings increase the limit on how many buildings, military units or bases you have in play. They only work on the map they are on. ↪ If you lose a base in battle, who had eg. 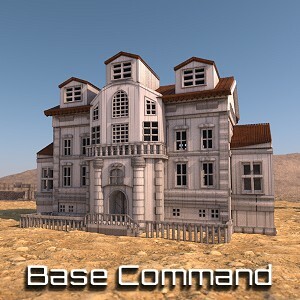 a base command, then you can rebuild the base command on another base for the reduced price of 1 gold. ↪ If the restored maximum building is destroyed again, you can restore it again for 1 gold elsewhere. ↪ Maximum buildings are therefore more expensive only in their first purchase. Attention: If you get above the maximum, you cannot produce and build anymore. 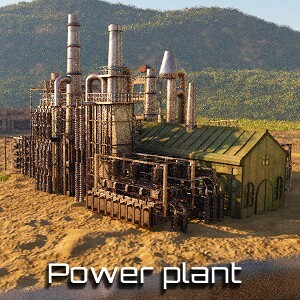 ↪ If you have too few power plants, the storage capacity is 10x smaller. No more buildings (except maximum buildings) can be built anymore. ↪ If you have too few base commands you cannot use highway and cannot build (except maximum buildings) and the storage capacity is 10x smaller.